A spicy sauce with just the right amounts of sweet and sour. Pairs well with fried foods and Vietnamese spring rolls. Each bottle is 200mL. Store at room temperature. 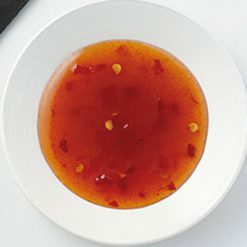 Sweet chili sauce is used in Thai and Vietnamese cooking. Amid its strong spiciness is just the right amount of sweet and sour. This version has been seasoned for Japanese tastes (with very pronounced sweet, spicy, and sour flavors). 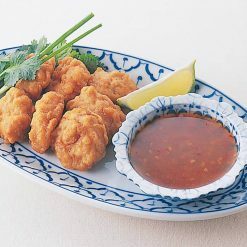 Sweet chili sauce can easily be used as a sauce for foods such as Vietnamese spring rolls (a type of roll wrapped in edible rice paper rather than being fried – sometimes called a summer roll), fried foods, fried Satsuma sweet potatoes, roasted meats, and gyoza (a type of dumpling). It can be used as-is for dipping, or cooked with ingredients in stir-fries and other dishes. This sauce is made without any food additives. Seasonings such as sauces can be a crucial part of a meal, turning plain food into a delicious experience. After all, sometimes we only think we don’t like certain foods because we haven’t tried them with the right seasoning! Sugarlady’s sweet chili sauce and other seasoning products are safe and free of chemical seasonings and additives, letting the true, natural flavors of the ingredients themselves shine – and allowing you to enjoy your meal without worry. This sauce is ready to eat and enjoy as soon as it arrives at your home. 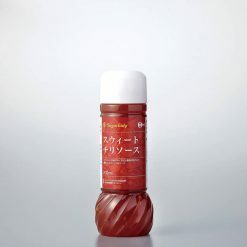 Once the bottle has been opened, use it as soon as possible. This product contains sugar, brewed vinegar, garlic, table salt, waxy cornstarch, chili pepper..